RightPatient® is the healthcare industry’s most versatile and scalable biometric patient safety and patient data integrity system, leveraging a powerful cloud-based intelligence engine to recognize patients by simply capturing their photo. This unique patient identification system allows healthcare providers to improve patient safety, revenue cycle, and data integrity by locking medical records with a photo and biometric signature.  Interfaces already exist for various EHR systems, including Epic, Cerner®, McKesson, Meditech, CPSI and more. In a few seconds, RightPatient® captures and links a patient’s photograph and biometric data to his/her electronic medical record. RightPatient checks existing enrollments to prevent duplicate medical records, chart corrections, and patient fraud. Returning patients simply take their picture. In seconds, RightPatient identifies the patient, retrieves the correct medical record, and displays the patient photo. The Ponemon Institute estimated that patient identity theft is rising fast. 2.3 million patients were reported to have been affected in 2014 – a 21.7% increase from 2013. Even more concerning is the fact that 28% of medical identity theft victims receive a misdiagnosis, or suffer mistreated illness due to inaccuracies in their health record. Fortunately, identity theft can be eliminated with RightPatient. Once a patient enrolls, he/she can never claim another identity.  In addition, RightPatient can reliably verify a patient’s claimed identity prior to his/her initial biometric enrollment. This seamless process during registration ensures a higher sense of confidence in the enrollment process. Accurately identifying patients and correctly matching their data continues to be a key component to ensuring that the “Triple Aim” can be met. At the same time, more healthcare organizations are increasing their use of cloud services to lower maintenance costs, decrease dedicated hospital FTEs, reduce operating expenses, and extract additional value from enterprise solutions. RightPatient SaaS enables providers to meet these goals for an affordable monthly fee. 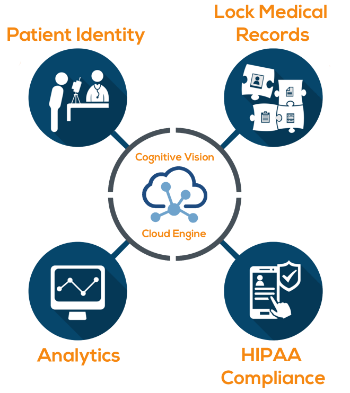 The RightPatient platform still seamlessly integrates with the provider EHR software but the back-end biometric matching and data storage system is hosted in our HIPAA-compliant cloud. This model provides the ultimate flexibility and value for healthcare providers looking to prevent duplicate records and ID theft. A key benefit of RightPatient is the platform’s ability to perform fast, real-time “one-to-many” (1:N) biometric identification.  For example, with Photo Biometrics, patients can be identified by simply taking their picture. RightPatient Cloud is our high-performance, superscalar biometric search and de-duplication technology that delivers on this benefit. 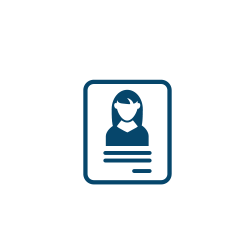 Our cloud matching system can compare millions of biometric templates in seconds, with unmatched accuracy and unlimited scalability. This RightPatient intellectual property ensures that even the largest health systems, ACOs or HIEs can prevent duplicate medical records in real-time. What was once care delivery characterized by a single trip to the doctor has transformed into multiple provider visits within a larger healthcare network, often consisting of various disparate data domains. EMPI software finds duplicate medical records across these domains and links them together but this value is often lost without accurate front-end patient identification. RightPatient EMPI seamlessly interfaces with any Master Data Management (MDM) system so that patients can be identified in real-time from any location, ensuring accurate and prompt service delivery without missing any critical medical history that could affect care. As more providers implement self-service patient registration kiosks, RightPatient provides the ability to verify patient identity upon check-in using any of several biometric modalities, including iris, facial and vascular recognition. RightPatient seamlessly interfaces with your self-service software, adding a strong authentication mechanism to protect patient identities and expedite the check-in process. This enables providers to reduce patient wait times and improve the patient experience without compromising security or privacy. Patient engagement and access to clinical data is a cornerstone of Meaningful Use and critical to reducing healthcare costs. Stage 2 Meaningful Use already requires providers to offer online access to health information and to facilitate secure messaging. RightPatient Mobile ID provides strong biometric authentication for patient portals, mHealth apps, pre-registration, telehealth, and other other access areas to reduce the risk of data breaches while protecting sensitive patient data.  Patients can leverage the RightPatient facial recognition engine for identity confirmation prior to portal login from PCs, tablets or smartphones. Duplicate medical records and overlays lead to reimbursement losses, reductions in medical data integrity, administrative inefficiencies, resource drains, liability concerns, and perhaps most significantly, compromised care delivery and threats to patient safety. Unfortunately, the American Health Information Management Association (AHIMA) estimates that duplicate medical record rates in a master patient index (MPI) can range anywhere from 8% – 12%. In partnership with key credit bureau providers, RightPatient® offers a powerful de-duplication and “keying” service that simultaneously leverages broad big data analytics capabilities to identify and resolve duplicates and assigns a “key” to each patient’s identity for more accurate identification of unique patient records to achieve better outcomes while concurrently implementing our biometric patient identification solution. Over 1,000 deaths happen each day from medical errors. Many of these are wrong-patient errors that are preventable.